Our teachers have the best pole, dance, contortion and personal training backgrounds in the business. 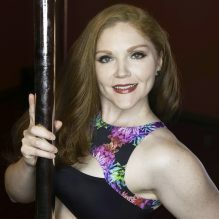 Stephanie Lea has been been pole dancing for over 4 years and loves to compete and perform. Gigi Holliday is a burlesque sensation! She runs several burlesque festivals, competes, dances and teaches. 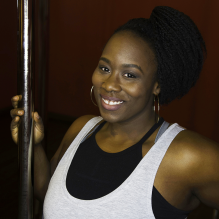 YaTosha has been poling for 5 years. She is a wife and mom and loves teaching! 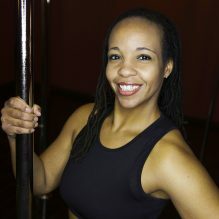 Colleen is an AFAA-certified personal trainer and elevatED certified pole instructor. 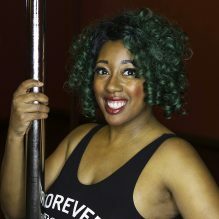 She is the CEO of the PoleCon and competes in pro-level pole competitions. 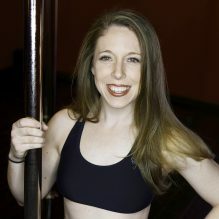 Certified Crossfit instructor and an aerial dancer, Meaghan is known for incorporating her slow/sensual style into her pole and lyra classes. Be prepared to learn how to move along the floor and transition those moves to the pole/hoop!